Exactly a week from now, on September 1st, "Force Friday II" will kick off, officially revealing of all the toys and merchandise related to Star Wars: The Last Jedi. Star Wars fans looking to finally get their hands on a Luke Skywalker or Supreme Leader Snoke action figure will have much to look forward to. Today, StarWars.com released the full swath on when and where you can experience Force Friday II across the globe. A multitude of retailers will be hosting The Last Jedi-themed events on September 1st, including Walmart, Target, Disney Store, Toys R Us, Meijer, Books-A-Million, 2nd and Charles, and many others will be presenting special Force Friday offers and exclusive products. Below we have highlighted a few of the participating retailers. The full list of details can be view over on StarWars.com. A list of participating Walmart locations can be viewed here. Be sure to visit StarWars.com to get the full lowdown on everything happening next week. 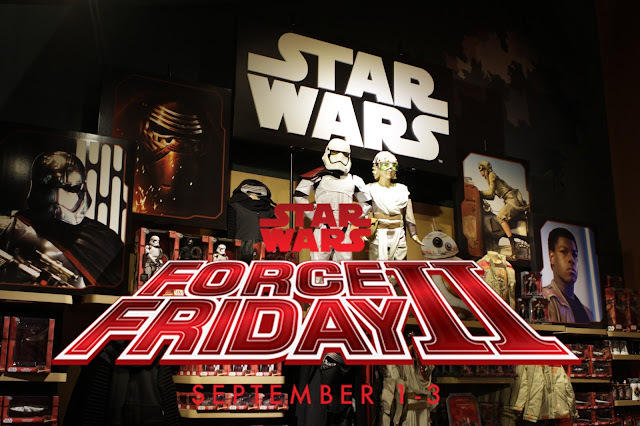 And clear you schedule, because Force Friday II is an event that's not to be missed!